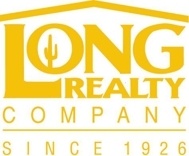 SWDesertHomes in Tucson, Marana, Oro Valley, Vail & More! : Thinking about selling your Multi-Generational or Two-Masters House? My buyers are coming into town next week from out of town and are looking for their dream Tucson home. Maybe you can help! Here's their wish list, as it is two adult couples hoping to share a home. Two masters, or four bedrooms might work, or in a pinch, three bedrooms and a den. It would be idea if all the bedrooms were not right next to each other! They absolutely would love a pool. Three car garage, oversized two stall garage, or two cars but perhaps a carport might work. It's a big bonus if you have a casita, artist studio, workshop, shed, barn...you know, an extra building! A little land...all this going on might be hard in an hoa community. Perhaps your home is located on .5 an acre or more. They don't need acres and acres, or even a horse property. Just...a little extra space. Views. Who doesn't love the mountains of Tucson. So, where are they looking? Mostly Tucson/Marana area - the Northwest and west seem to be most ideal. However, I've looked in East Tucson, South Tucson, Oro Valley, and Vail as well. There's a bit of leniency here. Price? They'd like to keep under $400,000. Generally, homes need to be over 2000 unless you've got that extra building as described above. Think you might have what they are looking for and haven't yet met with a Realtor to list your home? Perfect! Let's talk! You could be on your way to a new direction in your lives by Thanksgiving 2017. Please give me a call and let's meet!